SignatureCare Houston Heights Emergency Center. SignatureCare Emergency Center in Houston Heights provides 24-hour emergency room care and immediate medical services 365 days a year. Find the closest emergency room in the 77008 area at SignatureCare Emergency Center. Our Houston Heights ER is staffed with emergency care specialists and board-certified doctors. We are always open and you will receive professional emergency medical care at all SignatureCare Emergency Centers in the Houston area. All of our SignatureCare Emergency Centers are located in neighborhood communities close to you. Click here to see SignatureCare Emergency Center- Heights Google 360 Tour. Modern Medical Facility With Short ER Wait Times- Thats SignatureCare Emergency Centers. Our Houston Heights emergency room is open to treat patients 24/7, 365 days a year. Our emergency room functions like a hospital ER and is equipped to provide a higher level of emergency room care because of our state- of-the- art equipment and board certified doctors. Our medical facility specializes in medical emergencies and provides treatment for anything from minor ailments to major medical emergencies including stitches, broken bones, heart problems, allergies, asthma and many more. 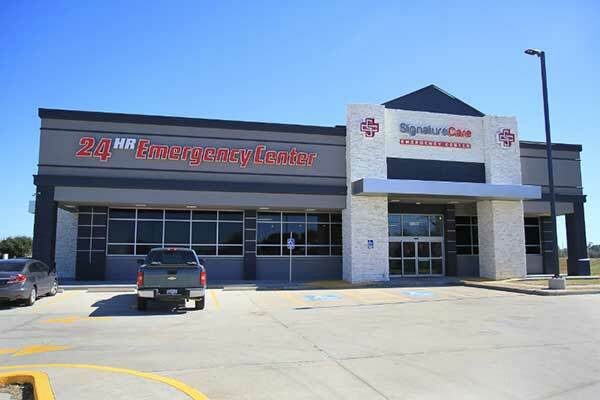 SignatureCare Emergency Center – Houston Heights is a fully-equipped, freestanding emergency room providing hospital-level care in a neighborhood setting. Our emergency rooms see infants, children and adults. All patients are seen by our board-certified local ER doctors who are trained to treat your medical emergency. The Houston Heights emergency room provides high-quality emergency care without the long wait times of major hospital emergency rooms. Our expert health care providers can treat common illnesses, minor injuries and critical emergencies. We also provide acute care and testing for those emergencies that cannot wait until your primary care doctor’s office is open. Our ER is open 24 hours a day, year-round to provide emergency care. SignatureCare Emergency Center emergency room in Houston Heights is ready to be your first choice for emergency care. Our Houston Heights Emergency room has multiple onsite laboratories and technologies, including CAT scans and X-Ray capabilities. The Houston Heights emergency room is located at 1925 East TC Jester Blvd., Houston TX 77008. Residents of Lazybrook / Timbergrove, Shady Acres, Greater Heights, Woodland Heights, Oakforest / Garden Oaks, Spring Branch East, The Villages, Independence Heights, Shepard Park Plaza, Rice Military, Spring Branch East, Westview, Brighton Place and areas surrounding 77008 zip code now have a 24-hour emergency room staffed by board-certified physicians within walking or short driving distance of their homes or businesses. Ambulance service for surrounding neighborhoods is available. SignatureCare Emergency Center – Houston Heights also serves Downtown Houston, Midtown Houston, The East Aldine District and The Historic Sixth Ward. We can’t wait to help you get the medical treatment and care that you and your family deserve. Turn right on E TC Jester Blvd. Exit 14 – Ella Blvd. Turn left into Ella Blvd. Dr. Billy Miller is a board-certified emergency physician in Houston, Texas. Originally from Oklahoma, he began his medical training at University of Texas-Houston and completed his residency in Emergency Medicine at Memorial Hermann Hospital in the Texas Medical Center. Outside of medicine Dr. Miller enjoys exercising, spending time with his family and traveling.